Holly Tate is the Vice President of Marketing at Vanderbloemen. Holly came to Vanderbloemen from Salem Communications where she was an Account Executive, specializing in helping businesses and faith-based organizations design integrated marketing campaigns to further their missions. Holly's passion for marketing and business development began in high school while working for two family owned small businesses. It was here that Holly realized her passion for helping people, being resourceful, and developing solutions for companies, and more importantly people, realize their potential. Holly holds a bachelor's degree in Business Management from The King's College of New York City. Studying and working in NYC allowed her to quickly gain diverse work experience from finance to music business. During and after college, her passion for inspiring young people to greatness drove her as an Admissions Counselor at King's. In her role at Vanderbloemen, Holly oversees the company's branding, marketing, and new business initiatives. 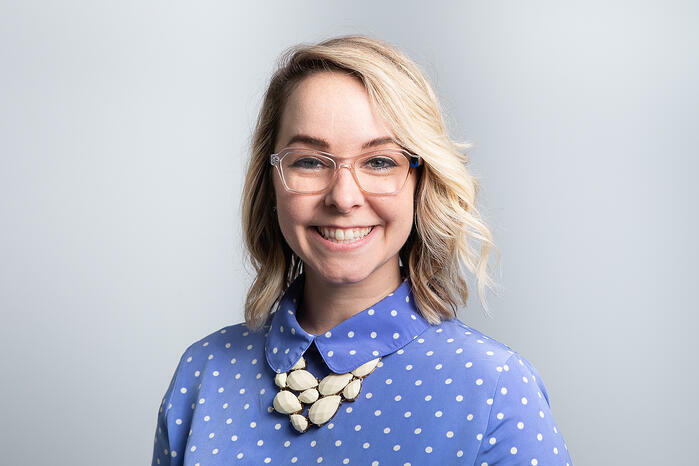 Holly is passionate about innovation, connecting people, and helping organizations grow through developing effective, creative, and integrated marketing strategies. She was named on ThomRainer.com's Young Influencer List in February 2016 as a leader under 40 who is making a Kingdom difference. In her spare time, Holly loves spending time with her husband Elliott. They are active members of Ecclesia Church in Houston, TX.